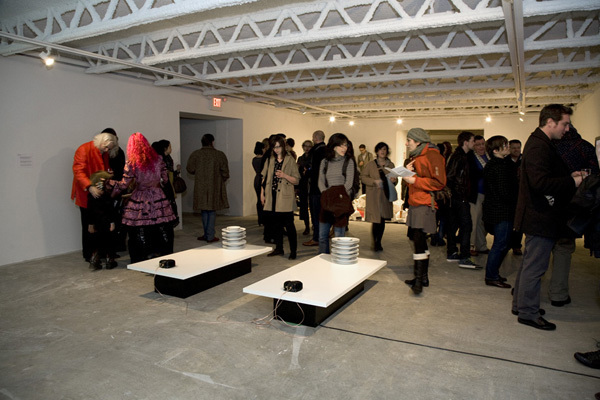 Following the success of Room Divided and 4-Intersections, we hosted a group show called No Windows from Nov 27 to Jan 23rd. This is a unique curatorial collaboration between a group of graduate students from the Departments of Anthropology, Art History and Curatorial Studies at the University of British Columbia. Local artists, Adad Hannah, Jamie Drouin, Zoe Tissandier, and Rhonda Weppler + Trevor Mahovsky, worked with the curators to explore and challenge the boundaries imposed onto art objects in museum practice. This entry was posted in MOA, Morris and Helen Belkin Art Gallery. Bookmark the permalink.